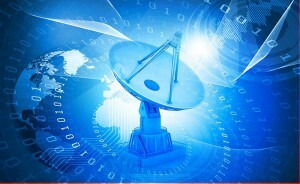 Why Should You Consider Internet Satellite? Are you in a remote area and battle to find fast stable internet connectivity? Logical Wireless is proud to bring you BettaSat, BettaSat is a satellite based internet service available to you no matter how remote. In the past few years alone, there are more ways to get online than ever before. From the good old days of dial-up modems, to ADSL and wireless, technology is constantly changing to allow the world to find information through multiple channels. One such advancement that is becoming popular all over the world is VSAT (Very Small Aperture Terminal) – a satellite technology that enables real-time broadband and MPLS network systems that are powered from far above the earth. This technology provides a number of advantages that make it an excellent option for almost any business, while home users are also finding this option to be effective and efficient. Satellite internet installation is setup quickly and simply, and once your account has been set up and a satellite dish set up outside your premises; all that is needed for internet to be accessed is a connection to your computer. There are no cables or phone lines required, which makes it even simpler to connect. A satellite antenna capable of transmitting and receiving data. A BUC (Block Up Converter) for transmitting. An LNB (Low Noise Down Converter) for receiving. Coaxial Cable from the antenna to the indoor modem. Most adults remember the hideous sounds of a struggling modem battling to connect, but the youth of today have been able to enjoy on-tap internet without any such memories. One of the benefits of accessing the internet through a VSAT satellite is a constant connection that needs no starting up. And unlike ADSL or old-fashioned dial-up, the lack of phone lines and other cables ensures that there is a far better level of reliability when it comes to your connection. Another major advantage is the large coverage VSAT offers. This is ideal for remote locations where normal terrestrial connectivity is not available. Accessibility is also greatly improved with the ability to connect multiple computers and devices through one single internet hub. This is useful in corporate and home environments, helping to connect a number of computers without the need for additional lines, cables and modems. Satellite internet providers are making it even easier to connect with a host of packages that cater to the diverse needs of home and business internet users. Contact us today to find out how you can make the first steps towards fast, efficient internet satellite for home or work. Connectivity where ADSL or Cable cannot be accessed. Fixed Monthly costs, available in a variety of packages. Single hop, direct access to International Internet Exchanges. My interest is for home use.